When a divorce is contested, what is already a stressful and emotional situation can become even more difficult to deal with and overcome. At Sandra Bonfiglio, P.A., we provide strong representation in contested divorce cases, advocating at all necessary court appearances and communicating with counsel for your spouse so that you may avoid uncomfortable conversations and further disagreements. Contact our experienced Fort Lauderdale contested divorce attorney today, we can help. A divorce is contested when both parties are not willing to agree on all of the terms that are required to finalize a divorce case, such as child custody, child support, alimony, or property division. The parties may agree that they both want a divorce, and the parties may even agree on several of the issues; however, unless the parties agree on every issue, the case is not uncontested, even if only one item is in dispute. Oftentimes, financial experts, such as accountants, are consulted with respect to the financial discovery procedures. Likewise, psychologists or social workers may be consulted regarding child custody matters. Divorcing parents often disagree with respect to child custody, time-sharing and child support, and many couples cannot agree on property division. If the distribution of assets and debts is a contested issue, settlement negotiations can begin once the nature and value of the marital estate has been determined. In the meantime, if the divorcing spouses are able to reach an agreement regarding custody, the court may grant a temporary custody order that will stay in effect until the divorce is finalized. If the divorcing spouses cannot agree on issues pertaining to their children, the court will order mediation before setting a date for a divorce trial. Child custody and time-sharing are always determined according to the best interests of the child, which means a court may conduct its own evaluation of a child’s needs and wellbeing if the parents cannot see eye-to-eye. 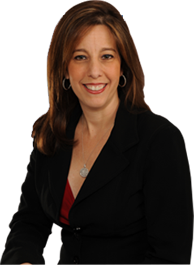 If you are facing a divorce that is likely to be a contested divorce, do not hesitate to contact contested divorce attorney Sandra Bonfiglio, P.A. in Fort Lauderdale to learn more about divorce procedures and your legal rights and options.